France beat Croatia 4-2 in Sunday’s final in Moscow, but with a team featuring number players of African heritage. Venezuela President Nicolas Maduro believes Africa and not France are the true winners of the 2018 World Cup in Russia. 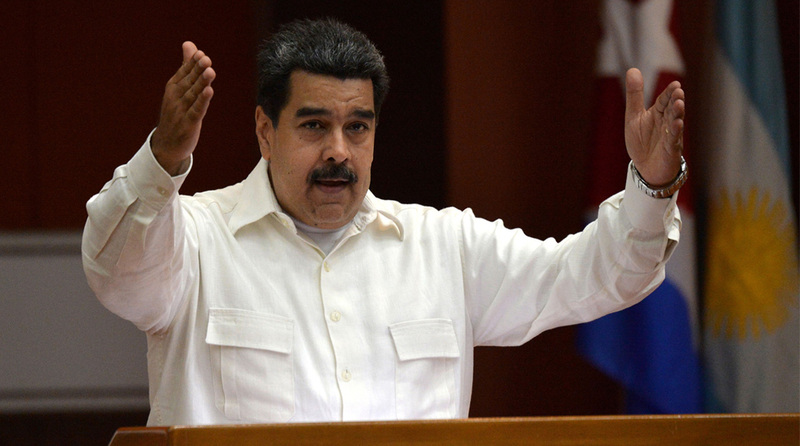 “The French team seems like the African team, in reality Africa won, the African immigrants who arrived in France,” Maduro said at an event to celebrate police day in Venezuela on Monday. Two of France’s goalscorers against Croatia have African roots: Paul Pogba’s parents are from Guinea while Kylian Mbappe’s parents are Cameroonian and Algerian. Of the players who started in the final, Samuel Umtiti was born in Cameroon, Blaise Matuidi’s parents are Angolan and Congolese, N’Golo Kante’s parents are Malian while Raphael Varane’s father is from the Caribbean island of Martinique. Of the 23-man squad, 16 have African roots of some sort, although captain Hugo Lloris, goalscorer Antoine Griezmann and striker Olivier Giroud are of European heritage. The Venezuelan leader, who has presided over a collapse of the country’s economy and who has been widely condemned for the repression of opponents, called on France and Europe as a whole to use this victory as a springboard to end the mistreatment of Africans and Latin Americans. “That’s enough racism in Europe against Africans, enough discrimination against migrants,” he said. Maduro has a tense relationship with French President Emmanuel Macron who has accused him of implementing a “dictatorship” in the South American country.